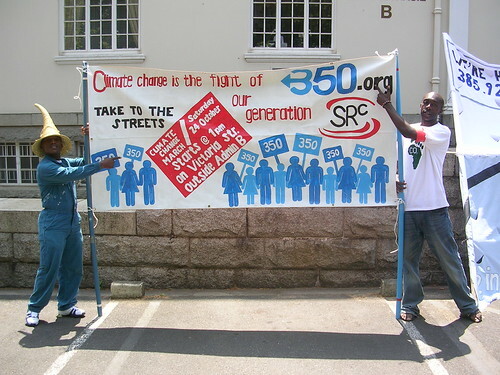 350.org – 100 Countries for 350 and “1.5 to Stay Alive”! 100 Countries for 350 and “1.5 to Stay Alive”! We're entering the final days of the climate talks here in Copenhagen. And there's no need to sugar-coat it: the outlook doesn't look good. We’re entering the final days of the climate talks here in Copenhagen. And there’s no need to sugar-coat it: the outlook doesn’t look good. 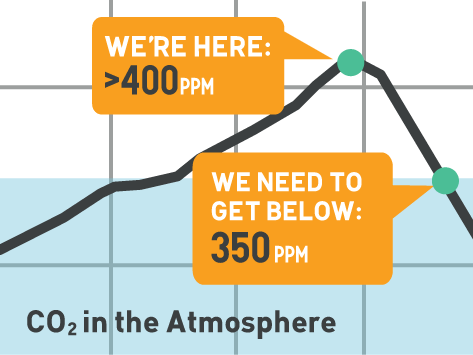 According to our friends at Climate Interactive, the cumulative result of all the proposals currently on the table would take the world not the 350 ppm that scientists say we need for a habitable planet, but all the way to 770 ppm. As Bill McKibben has been saying, "If that’s not literally hell, it will have a similar temperature." Yet, despite the slim chances of an ambitious agreement here in Copenhagen, we’re taking hope from the growing number of countries that now support the 350 target and the call for real solutions to the climate crisis. Today, we got confirmation in a speech by Grenadian President H.E. Tilman Thomas that over 100 countries now support the call for 350ppm and a no more than 1.5 degrees Celsius temperature rise. "We must act now, because if we do not, history will not absolve us…" said President Thomas in a powerful speech on behalf of the Association of Small Island States, which 350.org has been working to build support for throughout the talks.